← Beyond Borders – What does Illegal Immigration mean to you? When I first contacted former High Rise and current Green Flames guitarist Munehiro Narita, I felt as if this interview was going to be plagued with all kinds of scheduling conflicts, linguistic errors and overall cultural differences. I couldn’t have been further from the truth. While there were some initial language barriers, the raw intensity and passion in Narita’s music allowed me to better understand and appreciate his craft and connect with his unique brand and artistry. Narita has become a major idol of mine and it was a pleasure to discuss his old work with High Rise and his most recent musical project Green Flames. 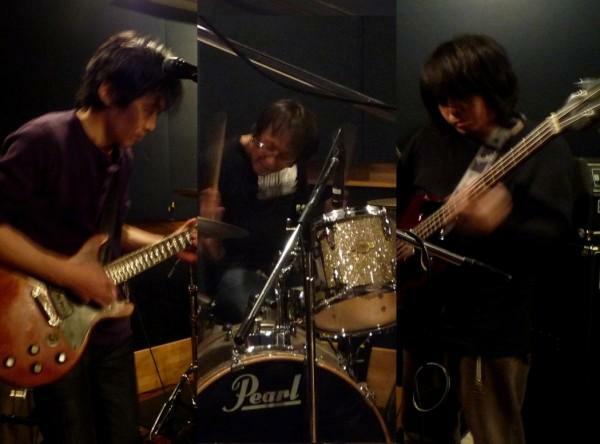 It’s been a few years since High Rise was heavily active in the Tokyo psychedelic rock scene. How have you kept yourself busy since High Rise has been dormant as a band? I produced some solo albums and did session work. 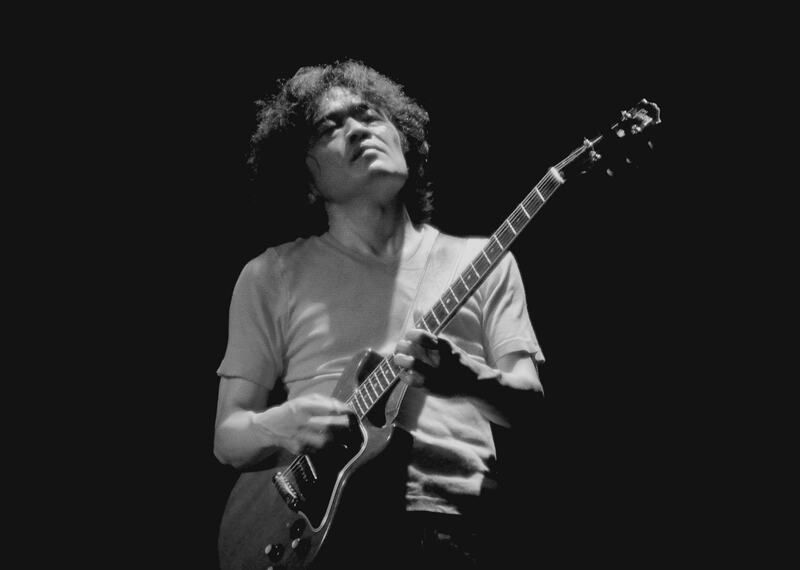 I played with many players, I did an album with Shoji Hano under the name Kyoaku No Intention. That was essentially very loud, experimental and improvisational music. I also practiced lots of guitar and made effect pedals. Your most recent project is Green Flames. Can you describe the sound? I guess it’s the feeling that what made High Rise a bit more pop…um Green Flames is more funk-oriented (laughs). Green Flames is the band in which I realized a sound that I did not have in High Rise. It’s music that I’d really love to release abroad and let everyone hear it. How was Green Flames conceived? I did a session with our drummer Yamamoto Tatsuhisa and I thought about starting another band and making our sound the base of the group. I wanted to do more proper music and that provoked Tabata’s interests. I also wanted more creative control and felt I could run the band’s artistic direction. Is the writing process for Green Flames similar to High Rise? How would you craft and arrange your songs when playing with High Rise? Was there a particular process or formula that you conceived when writing new material? There were many times that I added a guitar melody and parts to basslines which Nanjo had already written. I would then construct a refrain or bridge to be able to flex my guitar sounds, possibly throw in some solos and really make the most of things. Nanjo added lyrics and a constitution from there. Do you view the studio and live as two separate entities or do you track everything as if performing live when recording? Briefly describe the recording process for Green Flames. No, we play live and tape it. We prefer recording in that format and have naturally gravitated towards it. The reason is things cannot be expressed well when certain improvisational elements aren’t thrown into the mix. For instance, if you’re during a “standard” rhythm guitar scratch track, you would want the cleanest signal for that particular sound. I don’t like it when my effects pedals are off and just lay dormant, you hear that really dry guitar sound (laughs). One of the things that initially attracted me to High Rise and Green Flames is your guitar work. I hate to quote Almost Famous, but you really do have one of the most powerful and incendiary sounds in rock music. I’m a guitarist myself and I’ve always been drawn to the loud and passionate personalities within the rock and fusion realms, people like John Mclaughlin or Carlos Santana who have so much to say. Who are your major influences and how did you finally reach your current sound? The influence of Jimi Hendrix and Carlos Santana is big, but at first it was Mike Bloomfield and James Gurley from Big Brother. I was heavy into that “psychedelic blues” guitar sound and I really appreciated the elements that James Gurley brought to Janis Joplin and Big Brother. He had a great sense of timing and some articulate melodic phrases. But honestly, the influence of Hendrix came later on. I remember when I was in school, everyone was into Hendrix and wanted to capture that sound. I really didn’t listen to much of his material until I was older. Even now I’m not your traditional “Hendrix freak.” I prefer to analyze how he carried himself onstage or what amps and pedals he used, not really his playing techniques. I’m more intrigued by his live sound than the studio recordings. Are you happy with where you’re at with your playing or do you always strive to reach those seemingly impossible heights? Yes, um I would say I strive to reach seemingly impossible heights. I think that the feeling of playing and being entrenched in the music is like getting caught in a trance or feeling the strong high of a drug, it happens more and more as you practice and become proficient so your performances go well. Do you feel that your guitar sounds and music are reflective of your Japanese upbringing? Yes. The sound of my guitar is very “Japanesque” and sometimes I feel like I hate it because it’s so “Japanese-sounding” (laughs). But I think that it’s my personality and I can’t change it, but just embrace it. Not many Americans are familiar with this, but the city of Tokyo has a long history of psychedelic-rock and experimental bands. My first introduction to the scene was via Boris. Boris is more of a stoner metal/ambient group, but the more I listened to them, I heard about other artists like Michio Kurihara, Les Rallizes Denudes, Flower Travellin Band and of course High Rise. What is the current state of psychedelic and experimental music in Tokyo? The current bands of the Tokyo’s new psychedelic era are becoming a part of a fixed form. Fixed form as in the opposite of a fluid form. Fixed form as in the old-fashioned tricks and things have increased. Many people are too heavily mimicking the sounds of the bands from yesteryear or even some of the popular bands who came about in the past decade. The interesting bands are just not seen. They are not put on the radar of the mainstream. I feel the various and interesting music scenes are any place, but Japan right now. Some Japanese bands are really imitating the success of previous groups. Considering Japan is literally on the other side of the world, how did you gain access to some of the older psych-rock bootlegs and tapes that were floating around when you were younger? I heard mainstream American rock in my pre-teen/teenage days. There was this guy I went to school with named Hamano and he was in a band. Hamano had some Keiji Haino tapes and he got me into Haino as well as exposing me to other musicians…like he got me into Kaoru Abe and Kaoru played sax with Haino. I was really blown away by his sound. I remember wanting to take the power of improvisational like Abe’s and put that into a rock context. It was sort of like what MC5 did with funk and how they tried to emulate funk musicians like James Brown. I wanted to take free jazz, heavy blues and transpose that into a rock setting. Are there any foreign or domestic labels that have worked hard to push experimental music into Tokyo’s more mainstream realms? No, actually many of the small labels have begun to shrink or withdraw. There’s not a heavy infrastructure for nurturing experimental music at the local and regional levels.It might be interesting to see some labels stand up and put alternative genres on a platform, like really making things a bit more business-oriented and not just a flash in the pan cultural trend. Boris is an example of one experimental/heavy band that has managed to tap into the right markets in the US, however they appear to be an exception. 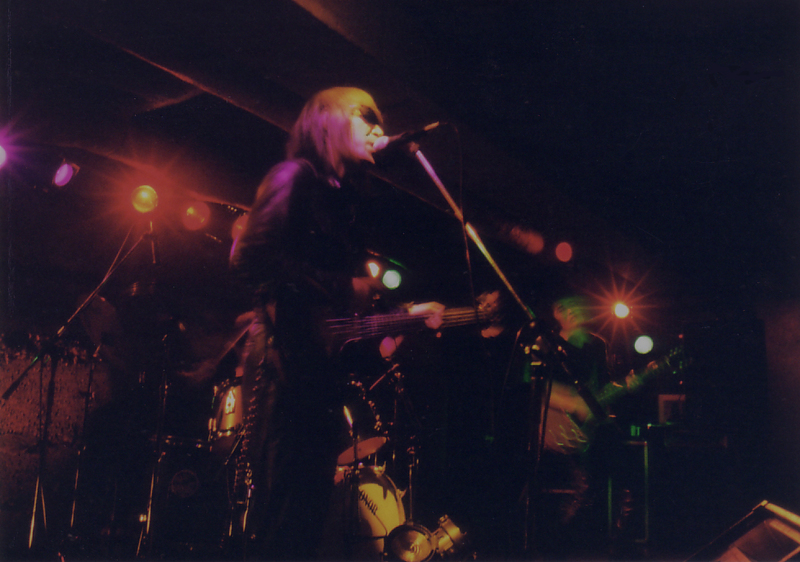 You do not hear about many Japanese rock groups performing psychedelic influenced music in America. What do you think it takes to break into a foreign market? As a Japanese musician, do you feel it’s even a smart strategy to aim at the United States first or conquer another foreign market maybe closer to Japan? It is very interesting that a Japanese group like Boris or Mono has succeeded abroad. At one point in time the Japanese heard a lot of music that was not in our native language. It was odd hearing the different vocal inflections and dissecting some of the explicit or even implicit lyrical meanings behind songs. Conversely, I think an American or Chinese person may experience something similar if being introduced to Japanese songs. So I guess if you can tackle the issue of language, you might stumble upon a strategy that translates well in foreign markets. It does not necessarily have to be close to Japan, but in a region in which people can genuinely receive your message and connect with the music. This entry was posted in art, featured, headline, interview, munehiro narita and tagged green flames, guitar hero, high rise, japanese rock band, munehiro narita, tokyo psychedelic rock, tokyo rock, www.myspace.com/greenflames. Bookmark the permalink.